This major manufacturer of commodity chemicals had recently combined the business of two companies into one multibillion-dollar global organization. Company executives needed to rapidly capture value to deliver the synergy targets committed to investors. 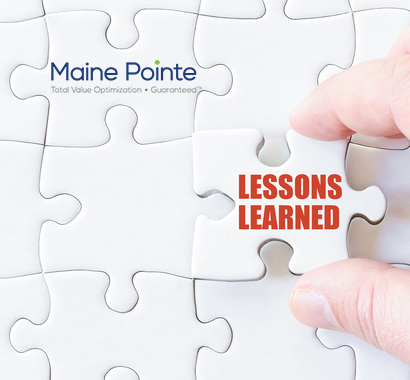 Maine Pointe was called in to help break down functional silos and barriers and drive value across multiple business units. This was the first step of the client’s Total Value Optimization™ journey. The newly merged company was a combination of two very different cultures and supporting operating models. 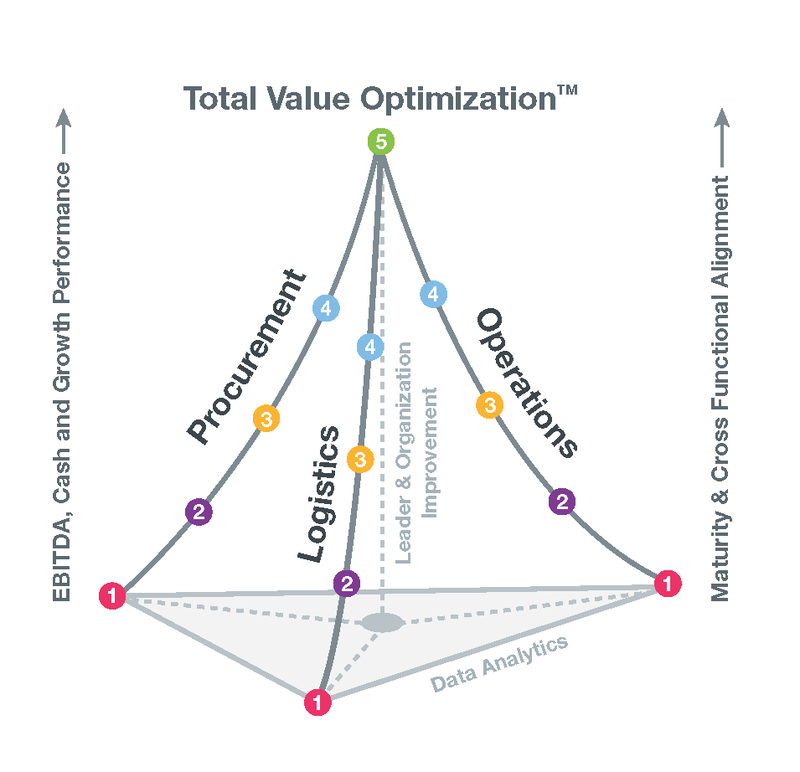 Individually, each company’s maturity across procurement, logistics and operations functions was rated at level 2 on the 5-level Total Value Optimization™ (TVO) maturity curves. The merger of the two entities, while immediately accretive from a financial perspective, had reduced the maturity levels of each of the functions to well below level 2. 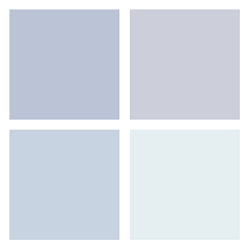 This drop was caused by a lack of cross-functional and cross-business integration and alignment. Maine Pointe had previously worked with the acquiring company to drive logistics improvements focused on optimizing truck fleet and rail operations. 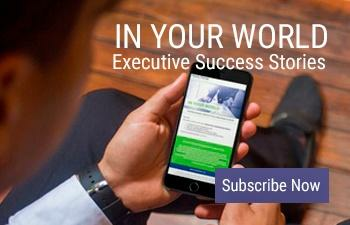 This resulted in $12M in savings while improving product time-to-market. Our track record for driving measurable results and sustainable change was key to the company’s choice of Maine Pointe as their partner in the next, more challenging, postmerger phase of its transformation journey. Following an in-depth TVO analysis, the first phase of the post-merger journey focused on helping drive synergy savings and benefits across procurement and logistics functions. This meant consolidating thousands of incumbent vendors into a very limited number of strategic and accountable partners across all sites. This required the creation of a centralized procurement function that partnered with parts and logistics suppliers to drive savings, operational efficiencies and strategic value across the business. While developing the sustainability plan, it became clear there were additional areas that needed to be addressed to sustain momentum and accelerate the maturation of the company’s buy-make-move-fulfill supply chain capabilities. This led to the next phase of the engagement which focused on driving further cross-functional integration to include operations. In this phase, the goal was to further build out and enhance the maturity of the company’s procurement and logistics capabilities, leveraging innovative supply partnerships. This helped catalyze the transformation of operations, particularly in the areas of maintenance and reliability. While these two additional engagements had different executive sponsors, Maine Pointe maintained cross-functional governance through integrated monthly TVO progress meetings. Having established center-led functions and sound practices across procurement, logistics and operations, Maine Pointe outlined the next phase of the company’s pragmatic TVO journey as it continues to transform its supply chain into a competitive weapon.